Fast cars, no speed limit, excellent beer and sausages sum up Germany, right? At least that is what most people think of, when someone mentions Germany. In reality there is so much more to fall in love with. There is also stunning nature to be enjoyed. It didn’t take me long to confirm an invitation to Hamburg in the far north of Germany. 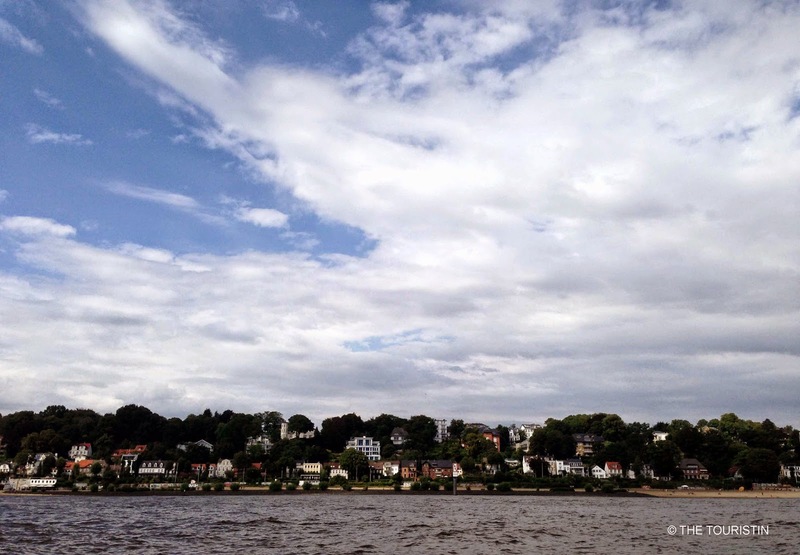 Friends wanted to introduce me to their new sailing boat and take me for a little spin on the Elbe. Officially Hamburg is called Free and Hanseatic City of Hamburg. Its neighbouring states are Schleswig-Holstein and Lower Saxony. Hamburg is a very friendly place, not least at all because it doesn’t mind to come second. After Berlin, the capital of Germany, Hamburg is the second largest city in Germany. After Rotterdam in the Netherlands the city has got the second largest port in Europe. The 1,090 kilometres long Elbe rises in northern part of the Czech Republic, traversing Germany, and flows into the North Sea. It was a sunny afternoon with big fluffy clouds in the sky while we were on the way to St Pauli Piers. We were happily sailing and the light breeze enabled our boat to go at the very rapid speed of 8,5 knots (going downstream helped also a tiny bit). At times the boat leaned all the way to one side, and passing container ships and a few other pleasure boats made sure there were even some waves to ride. These are the moments I like best when sailing. The sun started to set, and it wasn't long before dusk when out of a sudden the wind died down. With the power of the engine we made our way back home towards the sailing harbour. The sunset was to die for. Fast cars, excellent beer and sausages were a million miles away. Later at night we went for drinks at bar 20 up overlooking the St Pauli Piers and the river Elbe. Have you been sailing recently? What else comes to your mind when you think of Germany? I would love to hear from you and thank you so much in advance. So nice! I've never been sailing and surely it's not the first thing that comes to my mind when I think at Germany. I went to Hamburg last year and I wish I thought about experiencing this too, it was pretty raining and horrible at that time tough so it would have probably been not as nice. Hi Franca, this is so very true. I am sure that I most certainly wouldn't want to go sailing when the weather is rainy and miserable. If you go to Hamburg again, try to catch a ride in a launch (certain type of boat) from St Pauli Piers, also really lovely.